Today’s success story comes from the Netherlands. Before finding and implementing the strategies in the Wild Diet 30-Day Fat Loss System, Mitchel had all but given up hope of ever being able to see his abs. He just figured his body was not meant to have a flat stomach – following conventional bodybuilding “wisdom,” he ate six meals a day. He thought he was doing everything, but he wasn’t getting results. But the most fun part is that I have a e-commerce site selling protein stuff and advice on how to lose weight. Not being totally happy with my body was always a little embarrassing. Here I was selling other people how to be fit, and there I was not having results myself. But I really thought that I was doing the right thing, and my shape was the best that I could be. 6 meals per day, enough protein in every mail. You know the deal. How wrong was I. The change came after I was searching for a way to have more energy. The fact that I did not have the hollywood body was already cool with me, but the fact that I was running out of energy frustrated me. After some searching I stumbled upon the paleo diet. Read everything about, and then found your site. The way you talk on your website resonates with me, and so I ordered your Lean Body System. Previous to your Lean Body System I also bought some things from Mark Sisson and Robb Wolf. But your stuff was the easiest to follow so I just stick with it. Now 6-7 months later I don’t want to look back. It has been a tremendous change and shift in my life. I feel fantastic, fit, healthy and strong. I lost 8 kilos (17 pounds) and my six pack is almost there. The fun thing is that I did not even focus on that. My energy is through the roof. This is something that I will definitely pass on to my clients (I have 30.000 of them) from my protein shop. Even if it means I am going to sell less protein. Don’t care. I just want to spread the word. Because I am an online entrepreneur for 9 years now (currently 29 years old) I also see of course a big chance here. I bought the domain name http://www.paleo.nl and just want to spread the word. My book The Paleo Revolution is coming out in a few weeks, and you, Mark and Robb had been huge influences! I just hope I can get those Holland people excited about paleo (it is not big here, not yet) but I am going to do my absolute best to make the Netherlands a better place. If you’re interested in the Wild Diet 30-Day Fat Loss System, click here to check it out. Thank you again for being such an inspiration! For people reading this who are thinking about getting the Lean Body system… Don’t think, just GET IT! Here you will find my before and after images (shoot yesterday). It’s very inspirational to hear how someone can make such great changes having previously followed conventional wisdom to the letter! It just goes to prove that there really is no reason why people shouldn’t give Paleo a go. I completely agree with the fact of having more energy too. 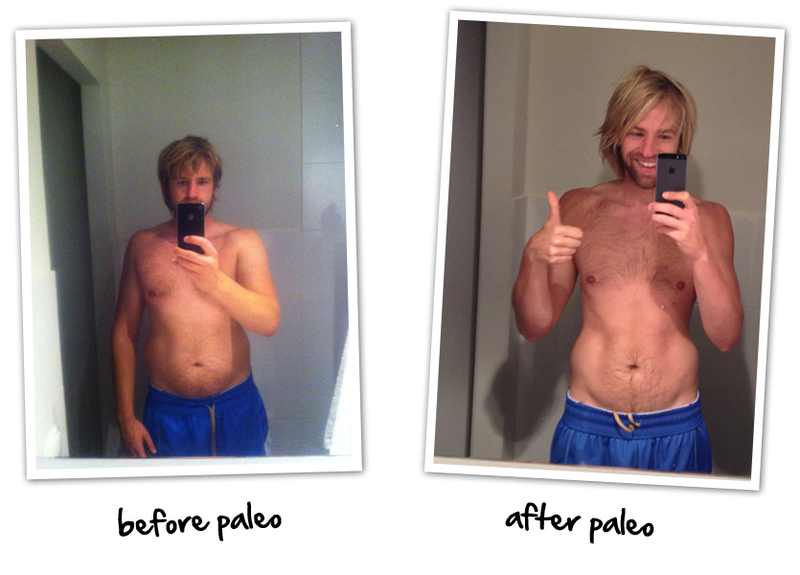 I’m beginning to really feel the positive effects Paleo is having on me during and after my taekwon-do training. 3 months & have noticed such drastic positive changes. … I strongly recommend this toanyone I started the diet off by watching this youtube vid for great recipes! Glad you’re experiencing such great results! Keep up the good work! I’ve been a regular gym goer and nutritionally conscious for my entire adult life. When I hit my late 40’s my body started to go to hell. Now at 51 I decided to dig deep and do some serious research to figure out how to turn around what age was doing to my body. I had heard about Paleo…but I decided it was time to read the book. I immediately connected with it and started the diet the following day. Within the first week I started to feel the changes. By the middle of the third week I got on the scale and was astounded that I had lost 13 pounds! I’m thrilled with the results and plan on continuing until I see my six-pack again. AT 51!! !